Business Rockstars Radio host Ken Rutkowski will be interviewing Marketing Expert Jay Abraham on Tuesday, June 3rd, from 10am-12pm PST. Jay Abraham's is a marketing expert commonly referred to as the "$9 Billion Dollar Man" for the amount of actual monetary value he has created globally. Business Rockstars radio host Ken Rutkowski will be interviewing marketing expert Jay Abraham today, Tuesday, June 3rd, from 10am-12pm PST. They will be discussing Jay's executive coaching techniques that have helped countless businesses create enormous wealth for their owners, shareholders, and investors. 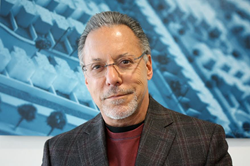 Jay Abraham is the founder and CEO of Abraham Group, Inc., and has spent his entire career solving problems and fixing businesses. He has significantly increased the bottom lines of over 10,000 clients in more than 400 industries, and over 7,200 sub industries worldwide. Jay has dealt with virtually every type of business. He has studied, and solved, almost every type of business question, challenge and opportunity. Jay Abraham has an uncanny ability to increase business income, wealth and success. He uncovers hidden assets, overlooked opportunities and undervalued possibilities. This skill set has captured the attention and respect of CEOs, best-selling authors, entrepreneurs and marketing experts. Jay’s clients range from business royalty to small business owners. But they all have one thing in common – virtually all of them have profited greatly from Jay’s expertise. Many clients acknowledge that Jay’s efforts and ideas have lead to millions of dollars of profit increase. Jay has identified the patterns that limit and restrict business growth. He is an industry leader who enlightens clients that most industries only know and only use one particular marketing approach. He teaches that there may be dozens of more effective and more profitable strategies and options available to them. Jay shows his clients how to take different success concepts from different industries and adopt them to their specific business. This gives Jay’s clients a powerful advantage over their competition. Jay has been acknowledged as a unique and distinctive authority in the field of business performance enhancement, and the maximizing and multiplying of business assets. He has been featured twice in Investors Business Daily – on the front page and in the Leaders & Success section ("Jay knows how to maximize results with minimum effort"). The March 6, 2000 issue of Forbes Magazine called him "The Real Thing" and listed Jay as one of the Top 5 Executive Coaches in the country ("Jay’s specialty is turning corporate under performers into marketing and sales whizzes"). Business Rockstars is a weekly radio show for entrepreneurs by entrepreneurs. Every Monday through Friday, 10am-12pm, Ken Rutkowski connects the listener to some of the biggest names in business to share their experience and knowledge of entrepreneurship. Business Rockstars do not just create game-changing companies, they become a brand. Each show will introduce you to these Rockstars, their business experiences and amazing stories behind them. Ken Rutkowski has been profiled in the Wall Street Journal, Fox News, BBC, Wired, Business Week and has hosted technology radio shows on CNET, CBS and online.